* Memory and regular study have definite value and it always helps you in leading a life. * You are able to survive even if you can make some mark in the path of the life. * Necessity creates pressure and forces you to invent something or to make it happen or to use your potentiality. 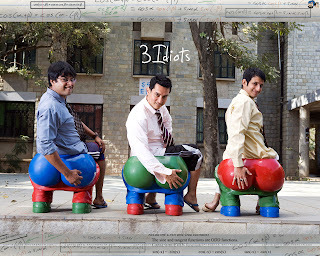 * Aamir Khan in this film, 3 idiots, is able to prove in the film by using vacuum pump at the last moment. * Life is need base never want base. Desires have no ends. * Dean of the institute in 3 idiots is showing very typical leadership. He has his own principles, values and ideology, and he leads the whole institute accordingly. * Love is not time bound and space bound. * Love is border free, time free, unconditional and space free. * If communication dies, everything dies. * Each word has impact and value in communication. communication what effect it creates and how is it affected is demonstrated very well in this movie. * Middle class family or average talent or average institute is going to suffer and has to pay maximum price in the life if they do not upgrade their living standards. * To be born poor or as an average person is not a crime but to die as an average person with middle class talent is miserable and if you are unable to optimize your potentiality and die with unused potentiality then that is your shameful truth. Sachin Tendulkar that you lose focus on your job." 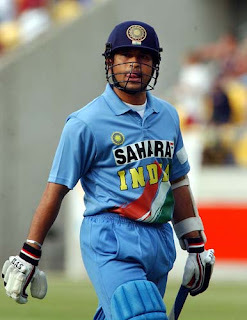 or a game - until Tendulkar was out. when the latter dropped Sachin's catch. all make for a one-in-a-billion individual,"
and play. He will play as long as he feels he can play,"
Sachin Tendulkar par Ungli nahi utha Sakte.. He can play that leg glance with a walking stick also . 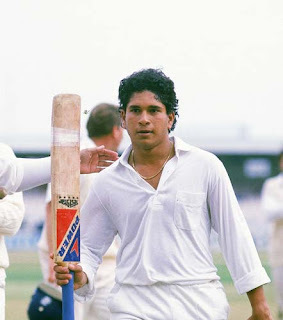 SACHIN ' that quiet defines Sachin-The greatest. u wont regret if he hits you for boundaries. This Genius can stop time in India!! Programmers come with a wide range of skill sets, hail from many countries and cultures and can have differing backgrounds and experiences. Nevertheless, certain qualities can mean the difference between a great programmer and someone who's not so great. Here are 10 things to look for when hiring a programmer. Great programmers never accept things "as is"; they need to poke deep inside something, even when it appears to be working fine, to learn more. This is how many problems are solved before they are problems, and it's usually the quickest way to fix acute issues. A programmer without this mentality will usually end up lacking the knowledge underlying why they are doing what they are doing, which means they're working with blinkers on. Unless candidates are very shy, their curiosity, if they have it, will show strongly during interviews. It may sound obvious, but programming is an exercise in logic. People who can add two and two to get four are common, but people who can take "2 + x = 4" and figure out that "x" is equal to 2 are much less common. This is why I have always preferred programmers with strong maths or science backgrounds. It makes them a bit better at programming but, more importantly, it generally indicates good logic skills. When I discuss the job, I sometimes leave blanks in what I'm saying to see if the candidate can fill them in. In addition, if your hiring process includes formal testing, that's a good time to test logic skills. Another "duh" when it comes to programmer productivity is that most of their work is not the typing of the code. A significant portion of a programmer's day is spent reading, whether it be other people's code, websites with examples, documentation or project specs. Programmers who read slowly or, worse, don't understand what they're reading, will be inefficient at best and dangerous at worst. You probably don't want someone on your staff who misreads the spec and spends three weeks doing the wrong thing; that's just embarrassing when you need to explain the delay to the project sponsors. It's really hard to gauge reading skills during the hiring process unless you use a formal testing process. Attention to detail is a close cousin to curiosity. A programmer who pays attention to detail will tend to be significantly more productive than one who doesn't. It is, unfortunately, extremely difficult to measure this quality during the hiring process. Still, sometimes things happen during the hiring process that show that a candidate has this trait. Maybe it's a casual remark or just a minor incident that occurs during the interview. For example, I once had an interviewee casually compliment me on my shirt and mention that he was a fan of that designer; that spoke volumes about his attention to detail. Of course, a severe lack of attention to detail can sometimes be obvious too; the candidate who walks in with trousers unbuttoned or toilet paper stuck to a shoe is clearly not paying attention to detail! Unless your company develops programming tools, such as compilers and IDEs, your programmers are working with projects outside the realm of programming. Just as journalists need to understand a little bit about the subjects of their stories and good teachers need a working knowledge of the field they're teaching, good programmers are able to learn about the environment their software will work within. Of course, you don't need a CPA with a computer-science degree to work on your accounting software, but a programmer who can't understand the basics of the maths and business rules involved is going to be a liability. I take candidates I'm seriously considering on a tour of the facility and provide a brief, simple, jargon-free overview of the company and how it works. Candidates who ask pointed questions that show they understand what I'm talking about, or who otherwise show comprehension, get extra credit in the overall hiring decision. It's rare for a programming shop to have the budget and time to provide training to its programmers. This is unfortunate, but it's a business reality. The result is that most programmers self-teach their skill sets (ideally with a mentor handy) once their formal schooling is over. Programmers who are good at self-learning are going to be better at programming. During the interview process, I like to ask questions such as: "How did you learn to do that? ", when the candidate talks about something difficult; or: "How do you get new skills? "; and: "Do you read any programming-related books, magazines, websites, blogs, etc?". Candidates who aren't just capable but who are eager to teach themselves new programming skills......tend to be much better to have on your staff than those who don't like to learn outside a formal training program. Some programmers are "daycoders": people who write code 9 to 5, Monday to Friday. They don't think about it in the slightest outside those hours. That's perfectly fine; not everyone can be a super geek who lives and breathes code. I have hired people like this in the past to fill a gap or to work on the sections of a project that are routine. But when I need to hire a top programming candidate (regardless of skill or experience level), I need to be hiring someone with a passion for the work. Passion is a "make or break" during crunch time or on a project that requires tricky techniques, rare skills, and so on. After all, daycoders won't be motivated to learn the best way of doing things and will instead just do what they've always done, which may not be the best way of doing things. Daycoders are also difficult to retain without a steady stream of raises and a high level of perks, since they are there for the money, not for the work. Passion will be fairly obvious during the interview. Candidates who get excited when you talk about your project or who are talking about their past projects are the ones who display their passion for the role. Have you ever worked on a programming project that ended with the same specs it started with? Neither have I, and I am including short projects that lasted less than a day! Programmers who don't handle change well will probably not be very successful, except on long-term, waterfall-type projects that last years, usually under government contract. That is not to denigrate those kinds of projects or programmers, of course. But most projects are simply incompatible with a lack of adaptability.It's pretty obvious during interviews when candidates are not adaptable or handle change poorly, particularly if you ask questions such as: "Did the requirements change often?" Candidates who say something like: "Sure, but that happens on all projects and it's a fact of life", are winners. Those who roll their eyes and respond with: "Yeah, that's why I could never get anything done!" will probably not be a good fit for most environments. "Communication skills" doesn't mean the same thing as "speaks perfect English": it means "being able to convey an idea accurately and effectively". Pictures, sounds and hand motions are all part of communication skills. Programmers who have a hard time getting their point across or understanding what others are trying to tell them will not be effective in the long run. This is a difficult ability to properly measure in a phone interview, but when candidates have difficulty communicating even in a face-to-face interview, you can be sure that they'll have a hard time on the job as well. Programmers are a notoriously independent group of people. Indeed, I believe that's one of their strengths and it's great not having to micro-manage people working on technical projects. However, a good portion of programmers struggle with the idea of "I am the boss and you are not." I know, it sounds tyrannical. In a way, it is. Managers often need to make decisions for nontechnical reasons and they may not be able to explain those reasons to their team (secrecy, politics, not enough time, etc). A little bit of pushback, particularly on bad decisions, is something I encourage and fully support, especially if the boss doesn't realise that it is a bad decision and if the feedback is delivered correctly. But when the boss says, "I know from the technical perspective this is a bad idea, but this is how we need to do it," it's final. All too often, certain "rogue coders" will ignore their marching orders and go do their own thing. Even worse, they have a tendency to run their mouth to anyone and everyone about how stupid the boss is and how he or she obviously does not understand programming — which may or may not be true. This sinks projects and does nothing but cause animosity and hurt team morale. This mentality can often be seen during the interview process, especially when you're asking about past work experiences. Rogue coders love to talk about their "evil, idiot, pointy-haired slave driver" former managers, even when it is wholly inappropriate to do so, like in a job interview. Well-adjusted programmers will say things such as, "I disagreed with some of my manager's decisions at a technical level, but I know that those decisions had to have non-technical issues factored into them." Mark knelt down and helped the boy pick up the scattered articles. Since they were going the same way, he helped to carry part of the burden. As they walked, Mark discovered the boy's name was Bill, that he loved video games, baseball and history. He was having a lot of trouble with his other subjects and that he had just broken up with his girlfriend. Bill reminded him of the day years ago when they had first met. "Do you ever wonder why I was carrying so many things home that day?" asked Bill. "You see, I cleaned out my locker because I didn't want to leave a mess for anyone else. I had stored away some of my mother's sleeping pills and I was going home to commit suicide. But after we spent some time together talking and laughing, I realized that if I had killed myself, I would have missed that time and so many others that might follow. So you see, Mark, when you picked up my books that day, that simple gesture, you did a lot more. You saved my life." What should be our legacy of love be? Here is something for you to ponder about. As a young man, Al was a skilled artist, a potter. He had a wife and two fine sons. One night, his oldest son developed a severe stomach-ache. Thinking it was only some common intestinal disorder, neither Al nor his wife took the condition very seriously. But the malady was actually acute appendicitis, and the boy died suddenly that night. Knowing the death could have been prevented if he had only realized the seriousness of the situation, Al's emotional health deteriorated under the enormous burden of his guilt. To make matters worse his wife left him a short time later, leaving him alone with his six-year-old younger son. The hurt and pain of the two situations were more than Al could handle, and he turned to alcohol to help him cope. In time Al became an alcoholic. As the alcoholism progressed, Al began to lose everything he possessed - his home, his land, his art objects, everything. Eventually Al died alone in a San Francisco motel room. When I heard of Al's death, I reacted with the same disdain the world shows for one who ends his life with nothing material to show for it. "What a complete failure!" I thought. "What a totally wasted life!" As time went by, I began to re-evaluate my earlier harsh judgment. You see, I knew Al's now adult son, Ernie. He is one of the kindest, most caring, most loving men I have ever known. I watched Ernie with his children and saw the free flow of love between them. I knew that kindness and caring had to come from somewhere. I hadn't heard Ernie talk much about his father. It is so hard to defend an alcoholic. One day I worked up my courage to ask him. "I'm really puzzled by something," I said. "I know your father was basically the only one to raise you. What on earth did he do that you became such a special person?" Ernie sat quietly and reflected for a few moments. Then he said, "From my earliest memories as a child until I left home at 18, Al came into my room every night, gave me a kiss and said, `I love you, son.'" Tears came to my eyes as I realized what a fool I had been to judge Al as a failure. He had not left any material possessions behind. But he had been a kind loving father, and he left behind one of the finest legacy of love, a most giving man I have ever known. Love is broad; if you love someone, you love all things, not just their beauty. Love is narrow; you love one and only one, compared to them, no one matters. God gave you 2 legs to walk, 2 hands to hold, 2 ears to hear, 2 eyes to see. But why did he give you only 1 heart? Probably because He wants you to look for the other. It hurts to love sumone who doesn't give you the time of day. But it hurts more when you realize that sumone you don't give the time of day loved you & gave it up because you loved another. it can be given but not sold. and leaves u when u most need it. a happier man loves the girl he marries.